Pharmaceutical company Pfizer has paid the US government $60 million to settle charges alleging it paid millions of dollars in bribes to build its business in Europe and China. 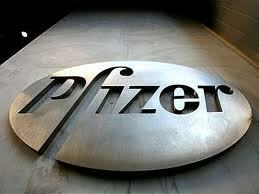 Employees made the payoffs to secure sales contracts for Pfizer products, according to court filings. Healthcare officials “improperly rewarded”, the Securities and Exchange Commission said. The US drugs giant does not admit any guilt. “Pfizer subsidiaries in several countries had bribery so entwined in their sales culture that they offered points and bonus programs to improperly reward foreign officials who proved to be their best customers,” said Kara Brockmeyer, chief of the SEC’s foreign enforcement division, which made the allegations. The countries involved are Bulgaria, China, Croatia, Czech Republic, Italy, Kazakhstan, Russia, and Serbia. However, the SEC said Pfizer officials had not been aware of the payments, and that its good co-operation over the charges meant there was no need for criminal prosecution. Pfizer first disclosed the misconduct to SEC and Justice Department officials in October 2004, and cooperated with the government’s investigation. The charges against Pfizer were brought under the Foreign Corrupt Practices Act, which bars publicly traded companies from bribing officials in other countries to get or retain business. In the past five years, the Justice Department has investigated a number of pharmaceutical and medical device companies that operate overseas in connection with the law. Last year, Johnson and Johnson agreed to pay $70 million to settle civil and criminal charges of bribery brought by the Department of Justice.